Image of Jupiter’s swirling cloudscape captured by NASA’s Juno probe. …is a great name for a 70’s prog-rock concept album, but is also partially the subject matter of — as promised last month — a second story that (only very briefly) mentions the Discontinuity featured in “The Veilonaut’s Dream“. My story “Kill Switch” has been accepted for publication by new SF magazine “Constellary Tales” and will be podcast hopefully later this autumn. Yay for podcasts! — they always seem to make my stories sound great. Can’t wait to listen to it. 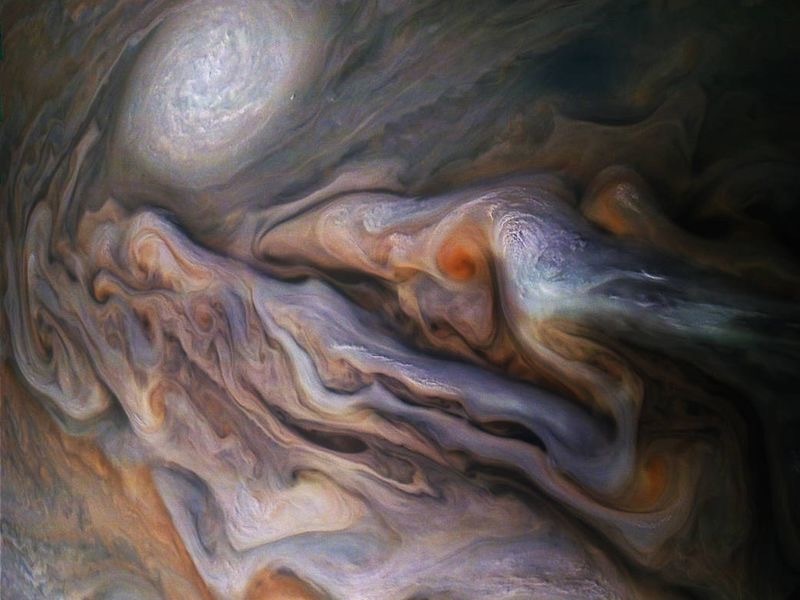 Also a great opportunity to showcase as the blog image the swirling clouds of Jupiter as captured by NASA’s Juno probe, currently still swooping around old Jove. Despite the imminent collapse of Western civilisation it’s great to be living in a time when we can receive such amazing photos from the outer reaches of the solar system.